WHY: To ensure that generations to come, remember the sacrifices of Alabama’s Veterans who gave their lives in The War on Terror, following September 11, 2001. HOW: By establishing a 501(c)3 Foundation to raise funds through the solicitation of tax deductible contributions. 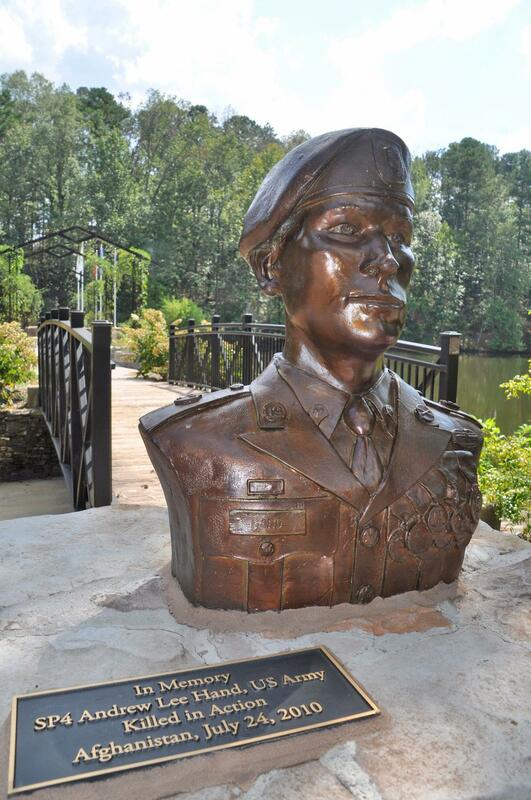 WHEN: As Tax Deductible donations are received they will be used to provide a Bronze Bust and a Pedestal with a Plaque of each Alabama Serviceman killed in The War on Terror. If you have an Army, Navy, Marine, Air Force or Coast Guard member of your family who has died in the service of their country, and you would like for him or her to be memorialized with a Bronze Bust contact us.